The car accessories can be divided mainly into internal car accessories and external car accessories. Things like seat covers, custom dash covers, floor mats, air perfume come under interior car accessory while Fog lights and light accessories, snow and ice accessories, gas caps, spoilers, car wheel covers, body covers etc come under the category of exterior car accessories. You can spend or invest as much as you want to make your car comfortable and glamorous. When you bring the car from showroom, first place you have to visit is an car accessory shop. Some customers like to buy genuine accessories only from the car showroom from where car has been purchased, while some like from normal retailers to get cheaper price and more choice. But it is essential to decorate your car no matter from where you buy the accessories. Car accessories can also be grouped into essential add-ons apart from categorizing into interior and exterior accessories. Add-on accessories can increase performance of a car while interior/exterior accessories can just increase look and comfort of the car. Exterior accessories can attract the attention of passer-bys’. Car accessories can be simply regarded as products needed to give your car a new and better look and also make your ride even and comfortable. This aspect of accessories’ importance should not be overlooked and ought to comprise a significant part while preparing for annual maintenance costs of your car. Car accessories should be always purchased from leading stores or from the leading manufacturers. A sub-standard accessory can negatively affect your car performance and on the other hand can empty your wallet because you may have to get it replaced frequently. If you buy the branded accessories you may have to spend more initially but ultimately prove to be cheaper than the accessories which are sum-standard and of inferior quality. You should do take some pain to do research on the internet, taking advice from friends and relatives while planning to fit your car with new accessories. Internet is fastest and best way to find sources for Car Accessories although there is a shortcoming that you can’t actually see the products. You can see many sellers of these accessories so that you can compare the prices and features and can get more options. You can still order suitable products as good sellers provide return policy with full refund of your money if the product delivered is defective or not as per the specifications. 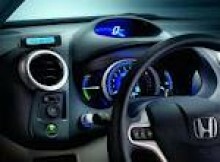 Prepare a listing of car accessories that you want to buy and categorize them as interior and exterior. Make a plan to buy the accessories you are looking for. Find good products available in competitive prices. If you feel satisfied and assured, buy the products online. Nice accessories can make driving experience a pleasure while improving your car performance. Search for the hottest car accessories selling in the market to draw crowd to your car.